With a third list of nominees for the post of Guyana Elections Commission (GECOM) Chairman submitted last Friday, the Private Sector Commission (PSC) believes that President David Granger has ample choices and should select a Chairman soonest. And while the PSC says that all six nominees are of “good standing:” and make for suitable Chairman choices, the country’s main business body has endorsed Major General (ret’d) Joe Singh and businesswoman/aviator Annette Arjoon-Martins. “I can confirm that that we have dealt with Major General Joe Singh….He is credible and I would endorse Major General Joe Singh. We have had interactions with him, through the Private Sector Commission and we have always found him to be very upright…he is a good choice,” Chairman of the PSC, Eddie Boyer told Stabroek News yesterday. Last Friday, Opposition Leader Bharrat Jagdeo informed that he had submitted a third list of six nominees for GECOM. They are, Singh, a retired Guyana Defence Force Major General who once held the very post in 2001, former long-serving magistrate Krisndat Persaud; attorneys Teni Housty and Sanjeev Datadin; pilot and biodiversity advocate Arjoon-Martins and Adventist pastor and agriculturalist Onesi La Fleur. The nominees on the first list, submitted in December last year, were Major General (ret’d) Norman McLean; Attorney-at-Law and Chartered Accountant Christopher Ram; Business Executive, Ramesh Dookhoo, Governance and Conflict Resolution Specialist, Lawrence Lachmansingh; Indian Rights Activist, Ryhaan Shah and History Professor, Dr James Rose. 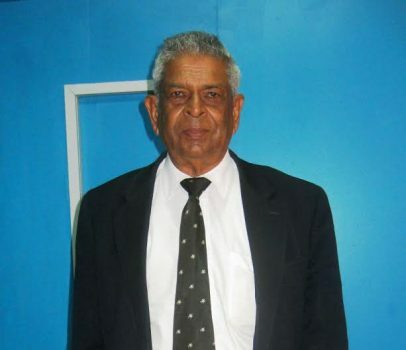 After Granger rejected the first list, Jagdeo nominated former appellate judge B S Roy, former High Court Justice William Ramlal, former magistrate and now practising attorney Oneidge Walrond-Allicock, attorneys Kashir Khan and Nadia Sagar and former Guyana Defence Force Captain and businessman Gerald Gouveia for the post. The second list was rejected in early June. Since the former chairman, Dr. Steve Surujbally, who served in the position for 15 years retired in February, the commission has been without a chairman. How this third list is handled by the President will also be watched closely for adherence to a recent ruling by Chief Justice Roxane George, whose court had been approached by businessman Marcel Gaskin for a judicial review of the President’s action in rejecting the first list of six names in January of this year. Justice George’s written ruling is being awaited for clarity on several matters and it is already the subject of an appeal. Government has not said anything on the matter since the Opposition Leader announced on Friday that he had submitted the third list. Jagdeo has also lamented the long absence of a Chairman for the integral post. 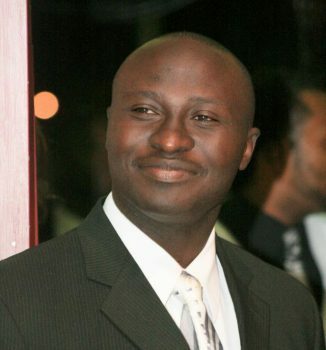 “It [the commission] is in automatic mode where pressing issues which need to be resolved for both the upcoming Local Government and National elections have not been,” he said. 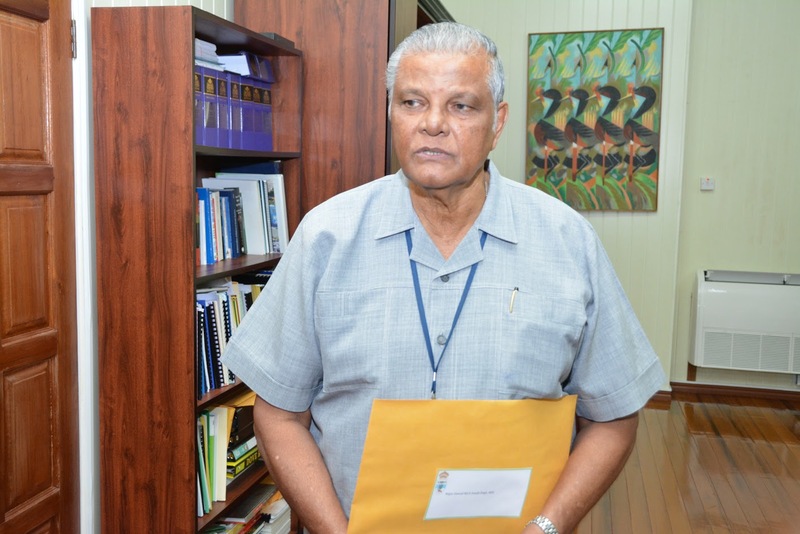 Stabroek News reached out to members of the Ministry of the Presi-dency’s Public Relations department yesterday for comment on the submission of the list but calls were not immediately answered. When contacted yesterday, Minister of State Joseph Harmon told Stabroek News that he could not comment as he was not aware if the list was yet received by the President. Analysts say that Singh is the likeliest candidate on the list and would leave the President with the challenge of deciding whether he will hold out for a candidate who is eligible to be a judge, is not an “activist” and is part of a list where all the nominees fit his eligibility criteria. They say too that Granger would have a very difficult time rejecting Singh, a former army Chief of Staff, given that he successfully ran off the 2001 general elections and is respected on both sides of the political divide and in civil society. 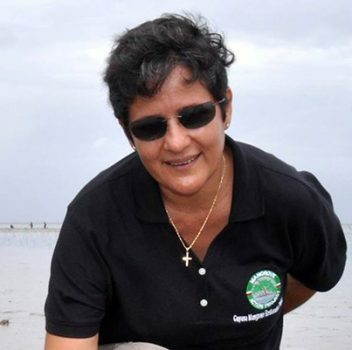 Singh, who previously served as Executive Director of Conservation International from 2001 to 2005 and Chief Executive Officer of GTT from 2005 to 2010, has recently been serving as Chairman of the National Task Force Commission for the Rehabilitation, Restoration and Renewal of Guyana. 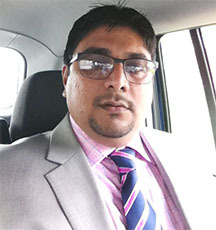 Boyer pointed to Singh’s experience as a Chairman of the Guyana Elections Commission and non-partisan stance while underscoring the fact that he is respected by government and the opposition. He believes that Singh would “absolutely’ make for an excellent GECOM Chairman. The PSC Chairman was quick to point out that the organisation’s support is also behind its own nominee in Arjoon-Martins. “That is a name that came from PSC and we would endorse her… She is a private sector person and I would like to say that the PSC supports Annette Arjoon. She served on many boards and is an environmentalist and we believe she can do the job.” Boyer stated. He said that Housty‘s works are also known to him and the PSC and that he would also make for a good GECOM Chairman. “They are all credible. I think all of these persons are of good standing,” Boyer noted. “The point of the list, and although I am endorsing the two persons, I have known the other persons too and they are all credible. So however you put it we are supportive of this list,” he added. Boyer explained that the PSC wants the GECOM top post to be filled quickly so that the commission can begin working and its Chairman familiarizing himself/herself with the effective functioning of the entity responsible for the administration and conduct of the country’s elections. This concern was also raised with the diplomatic community, according to the PSC Chairman. “The President has a good list and can now choose somebody. The point I want to make is that the PSC has met with all of the diplomatic community and we have stated the fact that we need to have the elections (commission chairman) in place early rather than late,” Boyer said.